STEVE DI GIORGIO doesn’t need any longer introductions, as he is widely renowned as a pioneer on the fretless bass in heavy metal music, being the bassist of TESTAMENT, DEATHand SADUS, among others. Within his genre, STEVE DI GIORGIO is respected for his playing skills, versatility and incredible technique. He has more than 40 studio album recordings and over 20 years of touring the world. 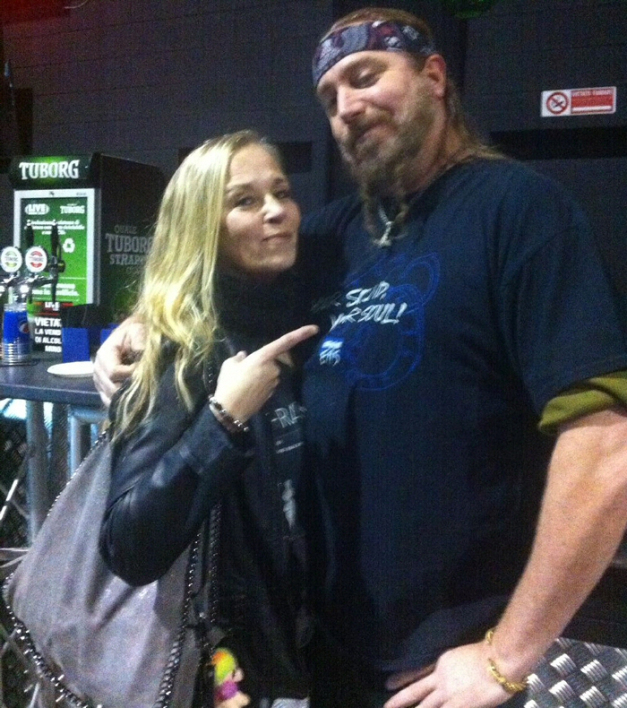 On December 1st, Tarja Virmakari of Metal Shock Finland & Alpha Omega Managementmet Steve Di Giorgio at Live Music Club in Milan, where TESTAMENT gave a killer show on their “Brotherhood of The Snake” tour. Tarja and Steve spent a nice afternoon, having a long and pleasant chat, talking about the tour, of course, but also about life, music, gear, upcoming tours with Vader and Annihilator, ice hockey, his experiences in Finland and more. So please sit down, join the chat and enjoy!